This chapter demonstrates about the SVG Interactivity, shapes are made responsive to the user actions which get the response by using the script language following are the concepts covered in this chapter. 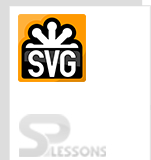 Following are some of the features of SVG Interactivty. Client-initiated actions such as button presses on the pointing gadget such as mouse. Client movements of the pointing gadget can cause changes to the cursor that shows the current position of the pointing gadget. 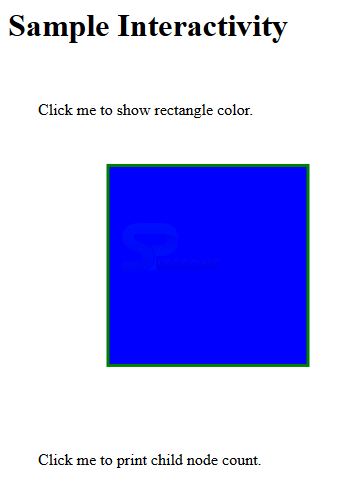 <rect id="rect1" x="100" y="100" width="200" height="200"
If user clicked on to show the color then it will display a dialogue box with the Color name as shown in below image. 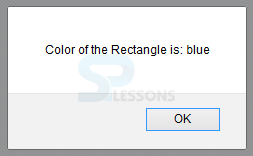 If user Click on the Print Child nodes then user will get a dialogue box Total children number as shown below. SVG supported by all the mouse events and kry board events. SVG made the response with the Script functions.